An Issaquah criminal defense team working to protect you. At the Law Offices of Issaquah criminal attorney Jason S. Newcombe, we know that being charged with a crime is difficult and frightening. We understand what you’re going through – and we have the skills and experience necessary to help your legal situation and bring you back to your normal life as soon as possible. If you have been charged with a crime, you should know that accepting the charges is not your only option. Our Issaquah criminal lawyers will be able to offer you a number of options with the goal of having the charges against you dropped or reduced. No case is hopeless, and we are prepared to help you and your family through this difficult time and fight for your rights in court. Why Hire an Issaquah Criminal Attorney? You – as an accused individual – are entitled to a number of rights by the Washington State and US Constitutions. You may feel that you were pressured to make statements against yourself or your friends without an attorney present. You Issaquah criminal lawyers will be able to help you through the questioning process and guide you through the legal system, addressing all of your concerns and looking out for your best interests. 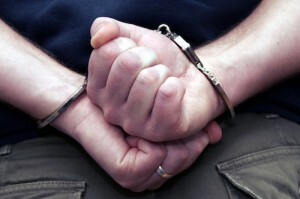 The right time to hire an Issaquah criminal lawyer is before you even speak to the police. Many of our clients come to us after having made incriminating statements, after having confessed, or even after pleading guilty to a crime. Reversing a guilty plea is quite difficult in Washington State, and calling an attorney before you even speak to law enforcement prevents you from making any omissions in front of police. Our Issaquah criminal lawyers offer the most complete and professional legal services with over 30 years of experience fighting for our clients’ rights in court. We take a team approach to each case, working together to build an aggressive defense that meets your exact needs. We handle each case with complete respect for our clients and without negative judgment. Because we believe that everyone deserves a second chance and a great defense, we offer low flat rate fees and flexible payment plans. For more information on how we can help you, contact us online or call us today.